No one would argue that communicating effectively while writing isn’t important. This is only becoming more true as emails and texts replace phone and face-to-face conversation. But does anyone really care if my grammar is bad? Everyone knows what I’m trying to say, so does it really matter? In an academic or business context at least, the answer is a resounding “Yes”. Studies show that poor grammar can affect your grades on research papers and tests, can affect how other people perceive you, and can even affect the jobs you get and your pay in the workplace. So if you want better grades, better jobs, and to be perceived as a more intelligent, capable person, maybe grammar is one place to start looking. A US census study has shown that English speaking and writing ability has a direct correlation with the amount of money you earn. And the differences can be larger than you think, especially in jobs that require advanced skills or higher education. In fact, of non-native speakers with a bachelor’s degree or higher who participated in the study, participants who spoke English “very well” made 25% more than participants who just spoke “well”. This difference came to nearly $10,000 per year, and should incentivize any non-native English speaker working in the US, or working with US-based clients, to make sure their English writing and speaking skills are top notch! 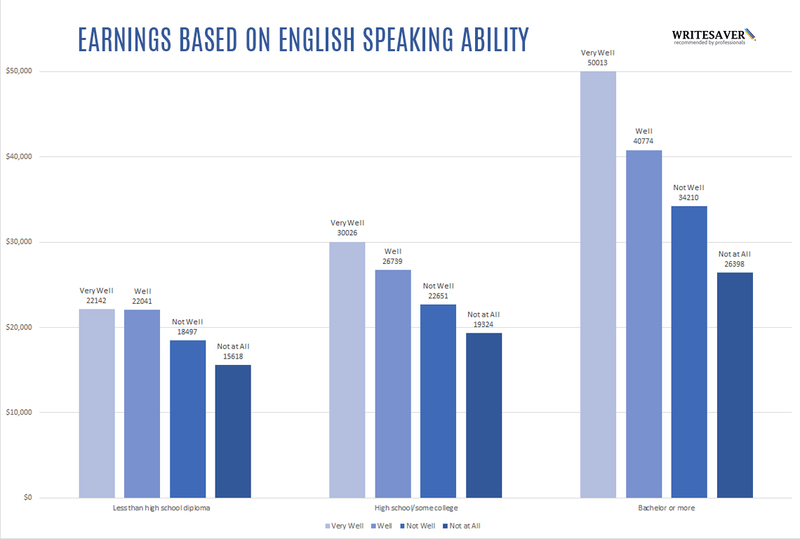 The chart above shows the disparity between US-based non-native English speakers with various levels of English ability. This correlation also extends to getting a job in the first place, where data shows that those that speak and write better English are more likely to be employed, across education level and race. It is especially telling that this correlation between good speaking and writing in English holds across education levels, as this study in no way shows that those who are making more money are actually smarter or better educated than their peers who make less! They are just able to demonstrate a higher English language level than their peers, and are rewarded for it. Now don’t begin to think this correlation between English language speaking ability and salary only holds in the US! A study by the Economic Times in India suggests that those who speak English fluently earn up to 34% more than those who don’t speak the language, and those who speak any English at all earn 13% more than those who don’t. It’s clearly worth it to put your best foot forward when it comes to English speaking ability! Some executives, like Kyle Wiens of iFixit.com, won’t even consider hiring employees whose grammar is poor. While this is certainly extreme, it’s worth considering the next time you’re looking for a job! Study shows freelancers who write fluently are paid more per job. This is especially true for non-native speakers. A study undertaken by Grammarly shows that freelancers on what used to be elance (now Upwork) who make the fewest grammar mistakes in their profiles are also paid more per job completed than similar freelancers who make more mistakes. Grammarly doesn’t explore the reasons for this correlation, but possible reasons could be that writers who make fewer mistakes are perceived as more qualified or detail oriented, both positive qualities to look for when hiring a freelancer. And if a native English speaking client is looking for a freelancer, it’s likely writing without grammar mistakes will make the freelancer more relatable and make them appear easier to work with, as potential clients will be less concerned about communication problems during their project. Whatever the reason, if you’re a freelancer, or a sales, marketing, or business person who interacts with clients in English regularly, clients may be evaluating you on your English writing ability, whether you (or they) know it or not! As this study suggests, making writing mistakes in your profile, email, proposals, or other communications is losing you money! But accurate writing isn’t only important in your professional life. It can also have an effect on your grades. In a study examining how grammatical and spelling errors affect grades, researchers found that of 420 teachers that “an essay response containing either 18 spelling errors or 18 grammar errors will be assigned significantly lower grades than the same response containing no gross composition errors”. The study was originally completed in 1969, but has since been cited and confirmed by other more recent publications. This means that if you’ve been making grammatical or spelling errors in your papers, your grades have likely been affected. And you may not even realize you’re making them! This is especially true if you are not a native English speaker, as your mistakes are likely to be more frequent, and are more likely to break up the flow of your writing. If English isn’t your first language, no matter how good your English speaking ability is, make sure to get a second pair of eyes to proofread your work before turning it in. You can also start by learning some of the most common grammar mistakes, or use an online proofreading service like Writesaver if that doesn’t do the job! A native English speaking friend can also be a great resource, as they can explain all your mistakes so you don’t make them again! If you need more help proofreading your own work, check out our article on proofreading your work more effectively before turning it in! Can Grammar Even Affect Dating? Yes, poor grammar can even have an impact on your dating life! In a study of 1,700 online dating sites, 48% of users found bad grammar unattractive. So if you find yourself striking out on dating apps or websites and are wondering why your perfect matches all disappear when you start texting them, you may have found the reason. As if dating wasn’t already hard enough. Good Writing is too Important to Screw Up! Good grammar can make you seem more intelligent, affect how much money you make, and even affect who you date! With all this impact, you can’t afford to screw it up! If you’re confident in your grammatical and writing abilities, make sure to proofread your writing before using it. 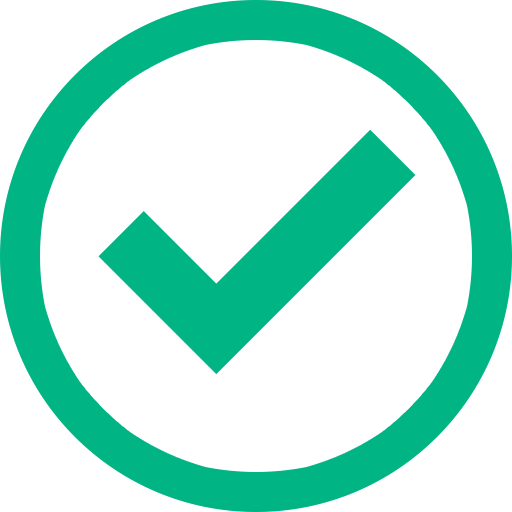 If you’re not, try a service like Writesaver that will connect you with native English speakers to proofread your work for you, or just get a friend you trust to do it. Check out our post on proofreading your own work to make sure you’re not making careless mistakes in your writing. However you choose to do it, stop letting bad grammar hold you back!